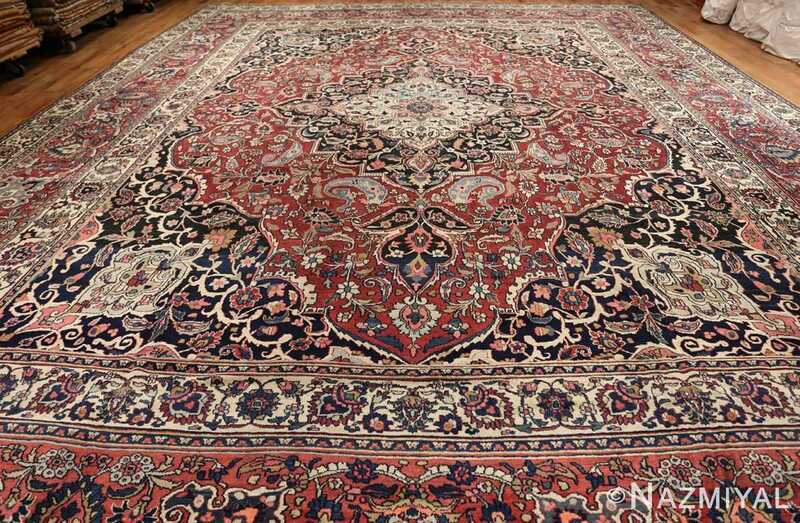 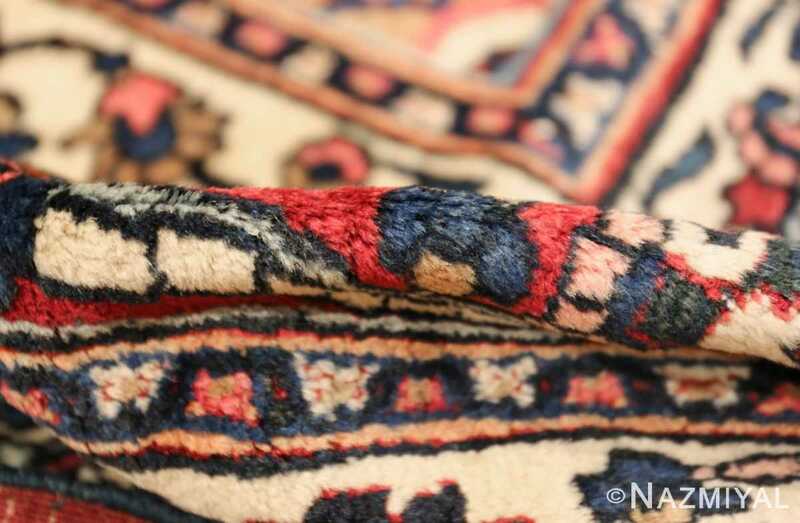 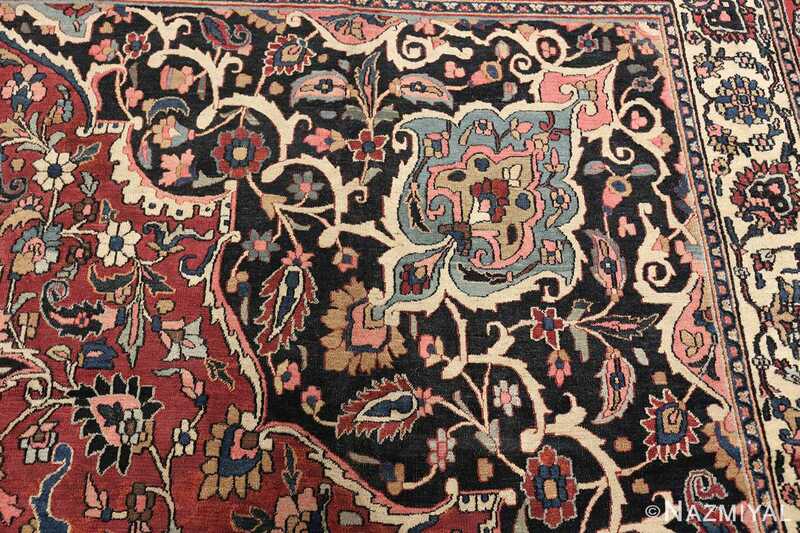 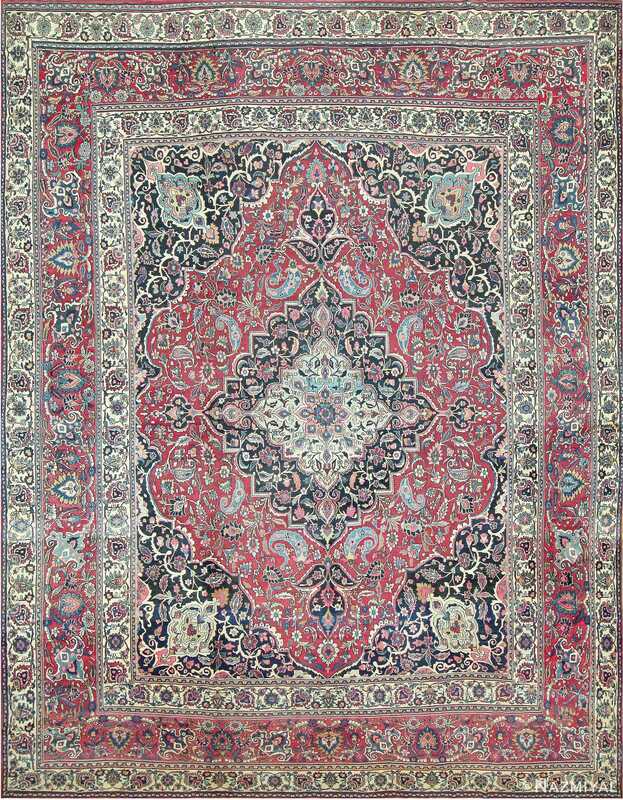 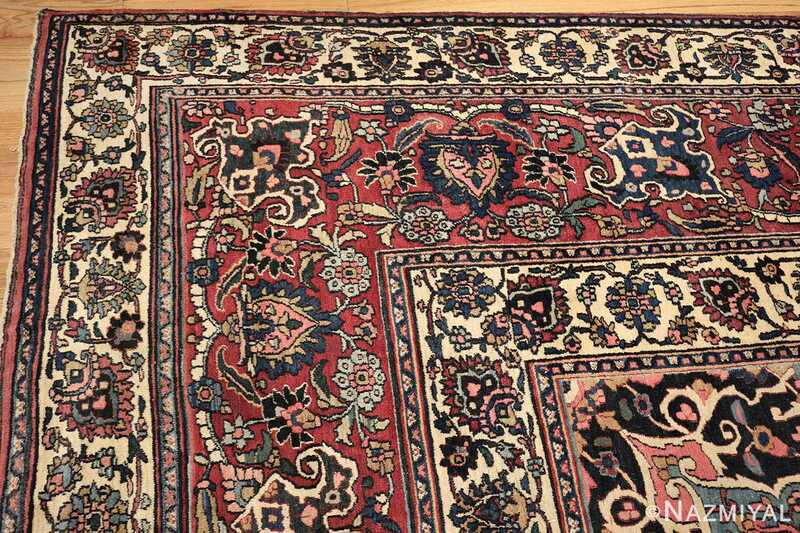 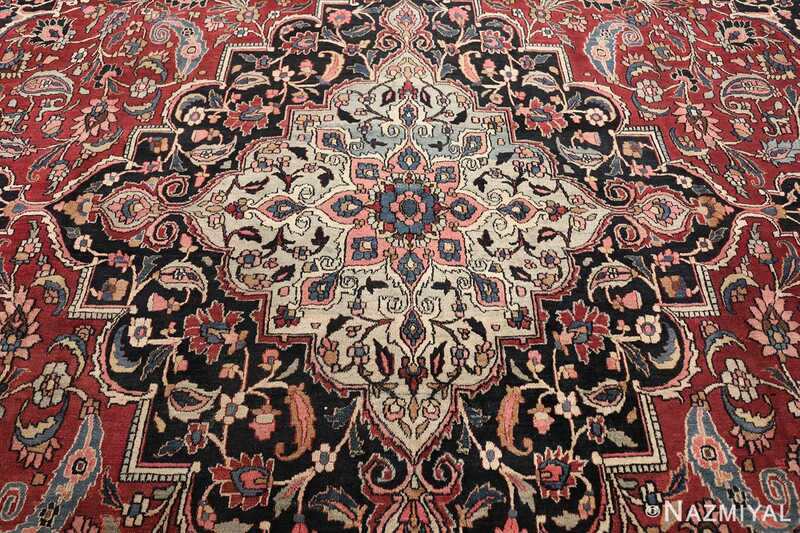 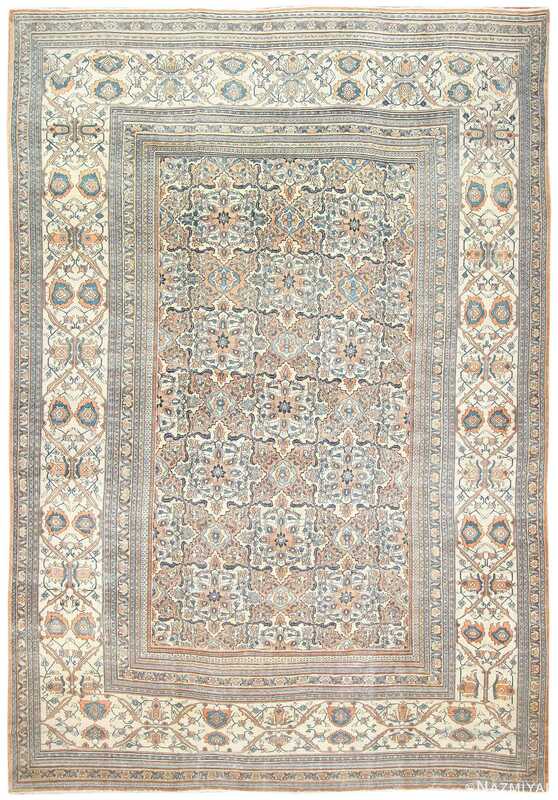 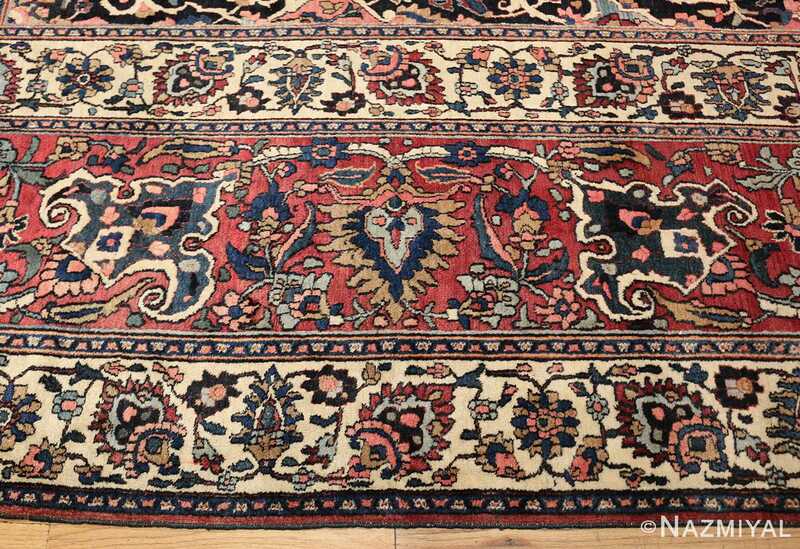 Here is a magnificent antique Persian rug of Khorassan origin. 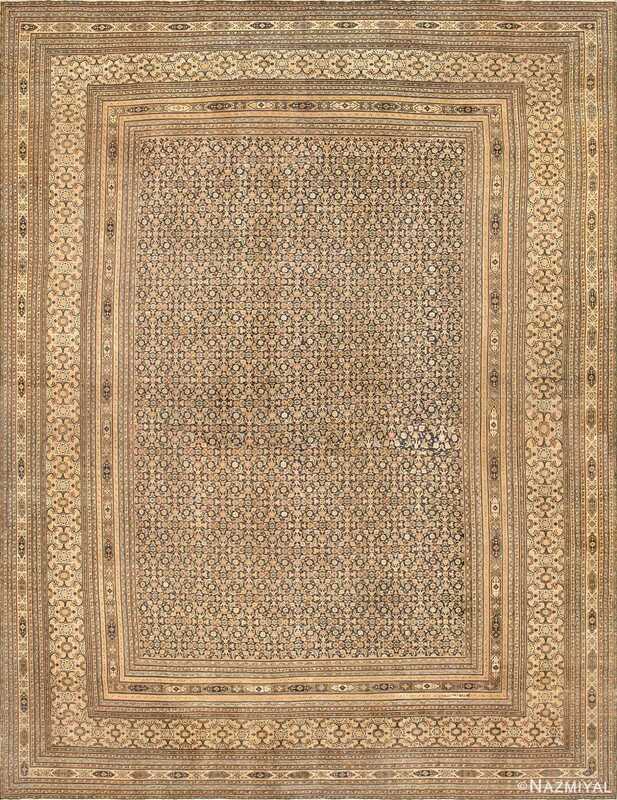 This oversized rug boasts a gorgeous, subtle range of colors and a design that features the finest elements of Persian rug making. 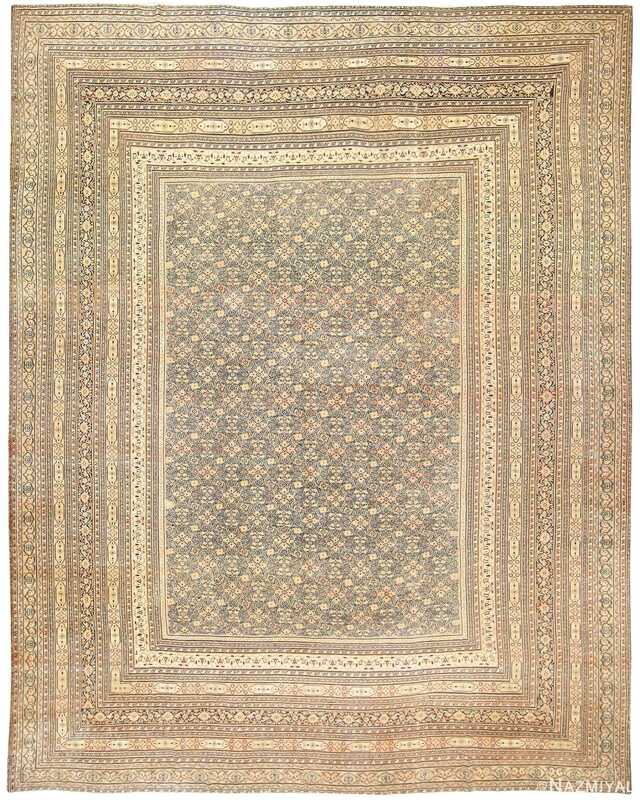 Antique Persian Khorassan Rug, Persia, c. 1900 – Here is an absolutely breathtaking antique Persian rug, a masterpiece that exemplifies some of the most desirable classic elements of Persian rug-making. 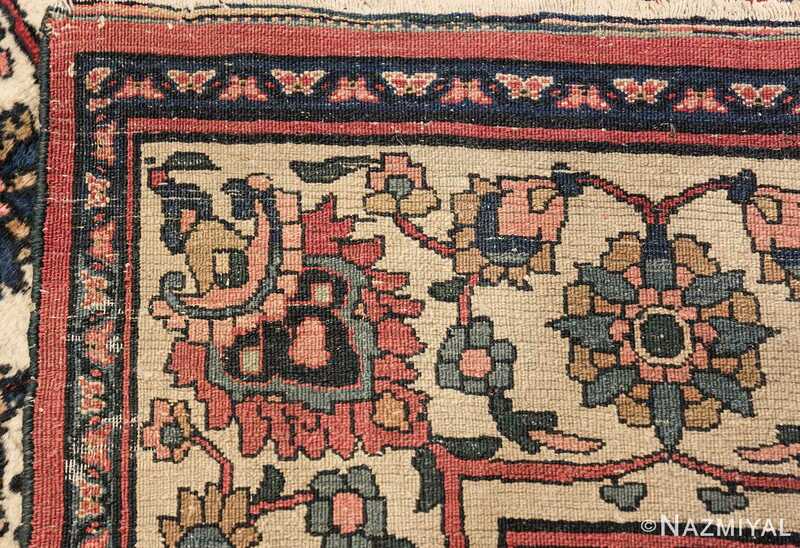 An oversized piece from the great Persian rug-making center of Khorassan, this majestic carpet is a striking example of the traditional composition of such rugs. Featuring a monumental central medallion which seamlessly merges with a set of striking, richly adorner corner pieces, as well as a gorgeous series of borders, the proportions and details of this exquisite carpet create an overall impression of expert craftsmanship. Perhaps the single most outstanding quality on display in this fantastic work is the intricacy of its detail work. 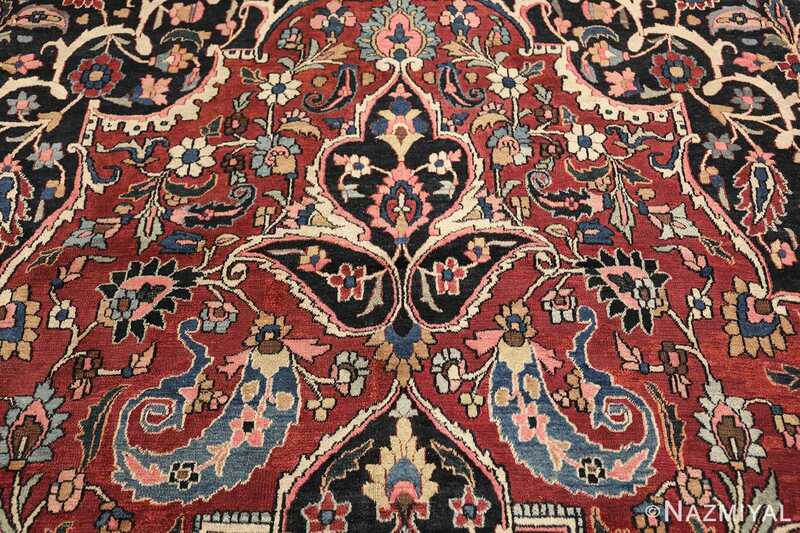 Just about every square inch of this carpet is ornately decorated with bokehs, floral elements, and seductive vines scrolls, all of which are meticulously crafted, lending this rug more and more beauty the closer one comes to it.